Once upon a time, the general thinking in management science was that business strategy drove technology strategy, and that technology strategy enabled business strategy through operational and analytical systems. The trend began with the operational systems that supported transaction processing, and migrated to the analytical systems that provided information for managerial decision making and competitive advantage. The term “strategy” means the beneficial positioning of an enterprise in marketplaces so as to deliver value over time; the “term” enterprise applies to for profit businesses, and not-for-profit activities. Business strategy determines products and services, markets, constituencies, the related infrastructure (functions, processes, facilities, and equipment), and the both the human and financial capital requirements to deliver value. Technology strategy addresses the information, processing, and telecommunications requirements in terms of applications, data and databases, hardware, systems software, and communications infrastructure, and the associated human and financial capital requirements. 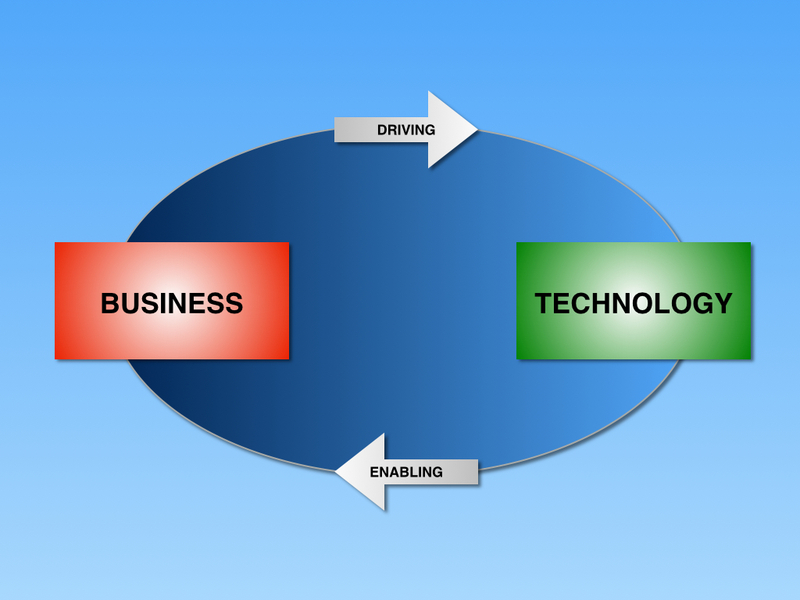 As information, process control, and telecommunications technologies became interconnected, especially as a consequence of the internet, and systems were able to operate in real-time model between suppliers, employees, and customers in enterprise, supply chain, and demand chain management activities, the role of technology shifted to both a driver and enabler of business strategy. The role impacts all functions of a business including legal, finance, human resources, research and development, business development, operations, and the information technology function itself. 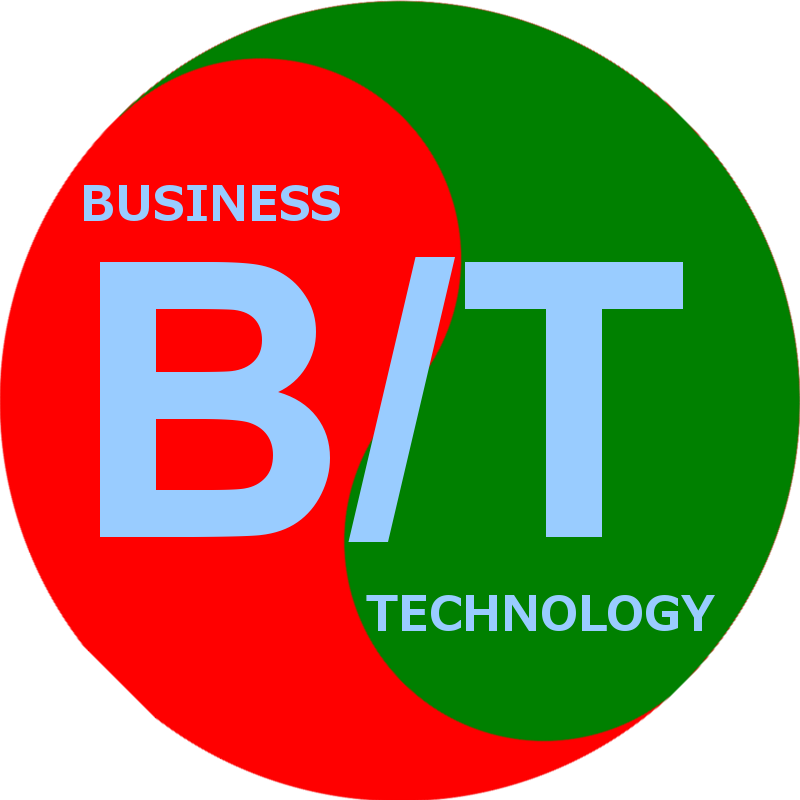 With the development of mobile technologies for business and personal use for professional, vocational, and social applications, and the trend towards “bring your own device,” business and technology strategy now have a “yin and yang” relationship, whereby business and technology disciplines are complementary and form an interconnected and interdependent relationship. For businesses that offer technology-based products and services, the relationship between the two disciplines is even tighter. What started as a discipline known as electronic data processing (EDP), that migrated to information technology (IT), has now migrated to “B/T,” the blend of business and technology strategy and execution for competitive advantage. Even a startup business in any industry has a list of technology issues that it has to address together with its business strategy in order to be at parity or better with its competitors. It has to be able to communicate effectively with employees, customers, suppliers, investors, and regulators on their technological terms. Key decisions have to be made regarding what is insured and what is outsourced. A general rule is to outsource utility functions and processes that don’t impact competitive advantage, and insource strategic functions and processes that do. For example, payroll processing is almost always a candidate for outsourcing in most enterprises, except perhaps very large institutional enterprises that may have complex human resource issues. Many small to mid-size enterprises use professional employment organizations (PEOs) for human resources management. However, an application that is mission critical to the business, especially in the supply or demand chains may be better in sourced. For example, an elearning company might outsource its enterprise management application, but insource its online curriculum delivery systems. Decisions to insource or outsource information technology functions may be made on a case-by-case basis, such as for application development, enhancement, and maintenance, and hardware, systems software, and network management. In general, development activities are better outsourced to highly skilled professionals, where as maintenance work may be insured. By comparison, facilities construction is outsourced to general contractors, who in turn use subcontractors, whereas facilities maintenance may be insourced. All businesses require a Chief Information Officer position for internal information and process management (even if it is a shared role with other functions). Those businesses that offer technology-based products and services may require a separate Chief Technology Officer position that focuses on customers and markets. In emerging enterprises, these positions may be shared with other roles, whereas in institutional enterprises these positions may oversee large organizations. These positions are an essential part of the executive team that determines the future direction of the enterprise. TechKnowPartners offers a portfolio of B/T solutions for emerging, growth, and mature enterprises in all industries.